Situated in the popular Northumberland village of Branxton, this delightful two bedroom semi-detached cottage is certainly worthy of closer inspection. 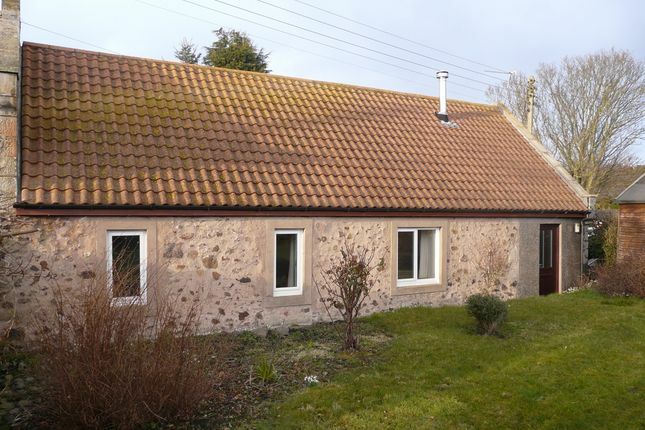 Ideally placed for easy access to the coast and the Cheviot Hills, this cottage has undergone recent upgrading and now benefits from a damp proof course, Upvc double glazing, beamed ceilings and a multi-fuel stove. With its rear garden offering views to the Flodden Monument and the surrounding countryside, it would be ideal as a main residence or as a holiday home. Viewing is highly recommended. Hallway, Living Room, Kitchen, Bathroom and 2 Bedrooms. Double Glazing. Night Storage Heating. New Damp Proof Course. Rear Garden. viewing: By appointment through selling agents tyne & tweed, 9 bridge street, berwick upon tweed. These particulars, whilst believed to be accurate are set out as a general guideline only for guidance and do not constitute any part of an offer or contract. Intending purchasers should not rely on them as statements of representation of fact, but must satisfy themselves by inspection or otherwise as to their accuracy. No person in this firm’s employment has the authority to make or give any representation or warranty in respect of the property. Kitchen: 3.48m x 2.31m (11’5”x 7’7”) approx. With upvc double glazed window to the side. Fitted blind. Two pendant lights. Selection of base units. Stainless steel sink with left hand drainer. Laminated work surfaces with tiled splashback. Plumbed for automatic washing machine. Electric cooker with stainless steel extractor hood above. ‘Dimplex’ electric wall heater. Painted skirting. Vinyl flooring. With upvc double glazed window to the front. Fitted blind. Centre light. Xpelair. Shaver light/point. Three piece suite comprising panelled bath with ‘Mira Sport’ electric shower over, pedestal wash hand basin and close coupled WC. Tiled around bath/shower area. Night storage heater. Painted skirting. Vinyl flooring. Living room: 4.72m x 4.14m (15’6”x 13’7”) approx. A most comfortable room with upvc double glazed window to the front and further upvc double glazed window to the rear overlooking the garden. Beamed ceiling. Pendant light. Recess with ‘multi-fuel’ stove on raised black limestone hearth. Wall cupboard houses the electric meter and fuse box. Space for table and chairs. ‘Dimplex’ night storage heater. Television point. Two double power points. Painted skirting. Oak effect laminate flooring. With door to front. Beamed ceiling. Coat hooks. Access hatch to loft space. Pendant light. ‘Dimplex’ night storage heater. Painted skirting. Oak effect laminate flooring. Bedroom 1: 3.25m x 2.51m (10’8”x 8’3”) approx. A double bedroom with upvc double glazed window to the rear overlooking the garden. Beamed ceiling. Pendant light. Two double power points. Painted skirting. Fitted carpet. Bedroom 2: 3.50m x 3.02m (11’6”x 9’11”) approx. This main double bedroom is of good size and again has a upvc double glazed window to the rear overlooking the garden. Beamed ceiling. Pendant light. Two double power points. Painted skirting. Fitted carpet. There is a good sized private garden located to the rear of the property which is laid to lawn. Perimeter hedging and a selection of shrubs, roses and two apple trees. Gate to side. Bin and coal store to the side. The timber garden shed is included in the sale price. Gravelled driveway to the front of the cottage. All fitted carpets and blinds are included in the sale price together with any appliances mentioned in these details. Any appliances mentioned are however untested by the selling agents. Services: All Mains Services-Except Gas. If you are thinking of moving house in the area or are currently on the market with another agent and are not receiving the results you wish, we would be happy to carry out A free valuation and advise on marketing without obligation. Please give us A call on .